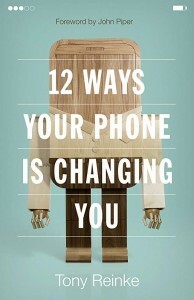 This is the second post considering the impact of the cell phone on the Christian life. 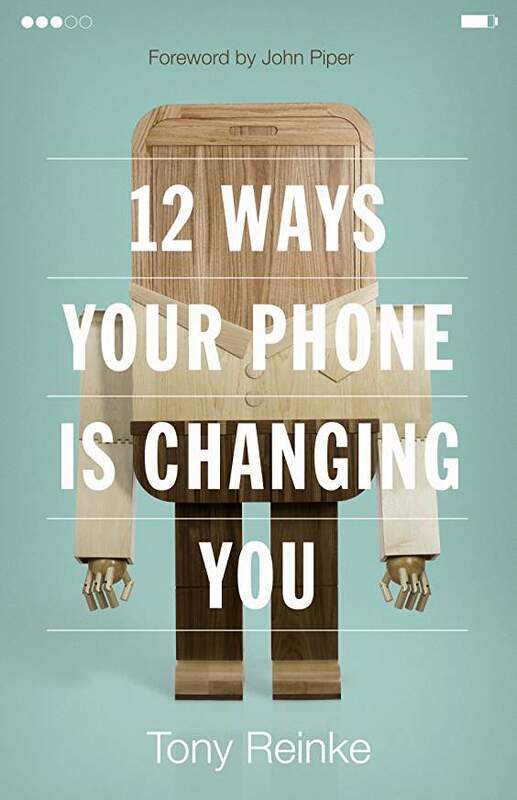 Tony Reinke’s insightful book, 12 Ways Your Phone Is Changing You, has stirred my thoughts on how the advent of the cell phone has changed life as we know it, and much of the change is not good to nurturing a heart of worship. This past week, I came across an article by Ben Renner entitled, “3 In 5 Millennials Say Life Is More Stressful Now Than Ever Before.” Renner presented research that many of the stressors are directly related to cell phones, “from slow WiFi, to broken phone screens, to zero ‘likes’ on social media.” Other included loss of phone, dying battery, and forgetting phone charger. Renner noted that researchers have discovered that these fixations brought substantial disruption to sleep patterns. I think it is important to note that millennials are not the only segment of our culture who have increased stress because of cell phones. The pervasive and invasive thrust of these devices has changed life for everyone of us who uses them (and even for the few who don’t). But, as we mentioned in the last post, the benefit of Reinke’s work is that it is not a pharisaical treatment of technology, but a genuine challenge for healthy engagement with technology. In this post, I would like to offer a couple more “take-aways” from Reinke’s book to build on the three offered last time. Technology understood through a biblical worldview sees the Garden of Eden as the beginning of technological advancement leading ultimately to the city of God. (Revelation 21) Reinke writes, “We find ourselves in the middle of this garden-to-city unfolding of history, and God is governing the entire process.” He is doing so through natural laws and through his image bearers who were created to create as their Creator has done. *Technology pushes back the results of the fall. With the fall and the effects of sin came “a breakdown in man’s relationships with everyone and everything. That breakdown still affects us today—weeds in the crops, pain in the delivery room, and embarrassment in nakedness.”To each of these concerns and millions of others comes the help of technology which brings forth products like Roundup weed killer, epidural anesthetic for labor pains, and clothing to cover our bodies. I agree with Reinke’s assessment that the Roman cross was the greatest demonstration of the God’s sovereignty over technology. This device of torture would serve as ground zero for God’s redemptive plan, for it was there that God’s son died a once-for-all death, the just dying for the unjust, in order that we might be brought to God. #5- Reinke illustrates how “we fear missing out” (FOMO), and this fear is heightened exponentially through non-stop, cell phone connectivity. We all have a sense of missing important opportunities in life: “a potential spouse, a perfect job offer, missing golden stock tip, or missing a party with our friends—missing out leaves a sting of regret we all hate.” This natural tendency of wanting to make the most of every opportunity can fuel insatiable desires to remain tethered to the worldwide web through the portability of our cell phones. I’ll be back in a couple weeks with some final thoughts.